November 4 is the birthday of Senator Joseph McCarthy, the political leader so successful (for a short time) at fomenting the second Red Scare of 1947 to 1957 that the Cincinnati Reds baseball team temporarily changed their name to “Redlegs” to avoid being branded as communists. Born in 1908, it is from the junior senator that we draw the word McCarthyism. 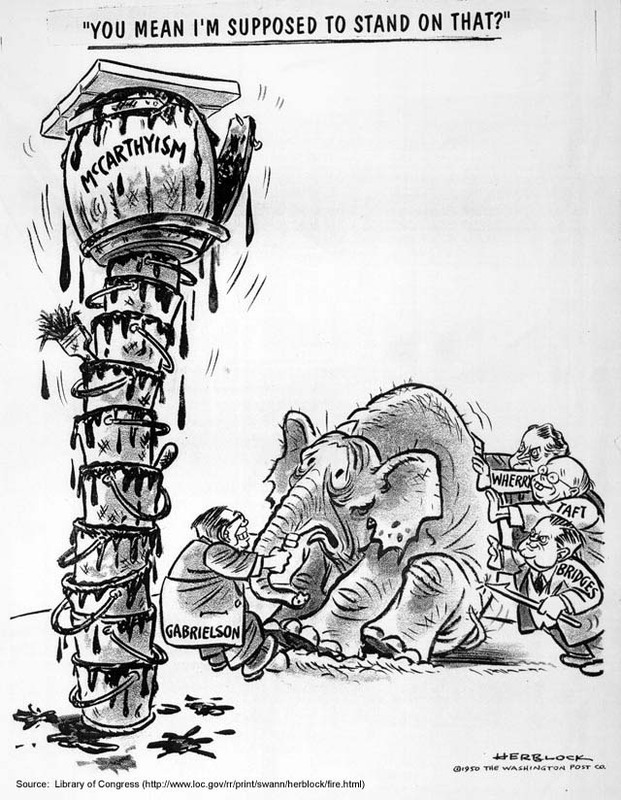 The word still used today to chastise demagoguery and bullying political douchebaggery is the namesake of Joseph Raymond McCarthy, voted “the worst U.S. senator” by the Senate press corps even before making his famous unsubstantiated claim in 1950 that he had an extensive list of known communists working in the State Department. 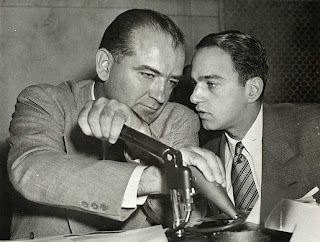 While he is often associated with the sexier witch hunts of the House Committee on Un-American Activities, McCarthy never browbeat any starlets or blacklisted any directors. As head of the Senate Permanent Subcommittee on Investigations, McCarthy was his own jackanapes and focused on communist infiltration of the State Department, government broadcasters, overseas librarians (whose card catalogs were allegedly bursting with burnable communist propaganda), and the U.S. Army. However, his name has since come to represent the entire era of paranoia and persecution. McCarthy was ultimately unable to prove any wrongdoing by anyone anywhere, and his attacks on the army for alleged security lapses were followed the next year by separate and unrelated charges of abuse of power brought against him by the army (it is the thirty-six days of televised proceedings of these hearings that people most remember). He was ultimately acquitted, but the damage to his reputation was done. McCarthy’s fellow senators ultimately censured him in 1954 through a decisive dressing-down vote of 67–22, and he lost all of his political power, leading President Eisenhower to refer to his former nemesis’s legacy as “McCarthywasm.” The senator slipped increasingly into bouts of alcoholism and finally died from inflammation of his liver in 1957 at the tender age of forty-eight. During his life, McCarthy had fully embraced his namesake, even co-opting it for the title of his book McCarthyism: The Fight for America. 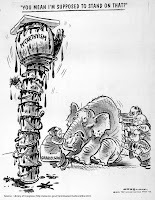 But cartoonist Herblock ultimately had the last laugh regarding his creation. He insisted there was “nothing particularly ingenious about the term, which is simply used to represent a national affliction that can hardly be described in any other way. If anyone has a prior claim on it, he’s welcome to the word and to the junior senator from Wisconsin along with it. I will also throw in a set of free dishes and a case of soap."